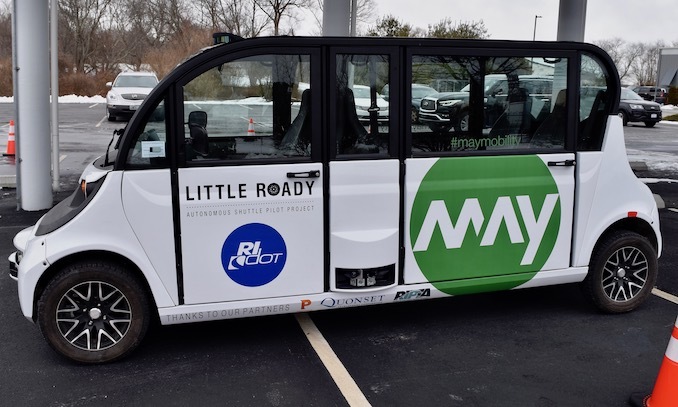 Autonomous vehicles are being tested this week on low-volume roads in the Quonset Business Park in North Kingstown as the initial phase of a pilot project scheduled to launch in Providence this spring. 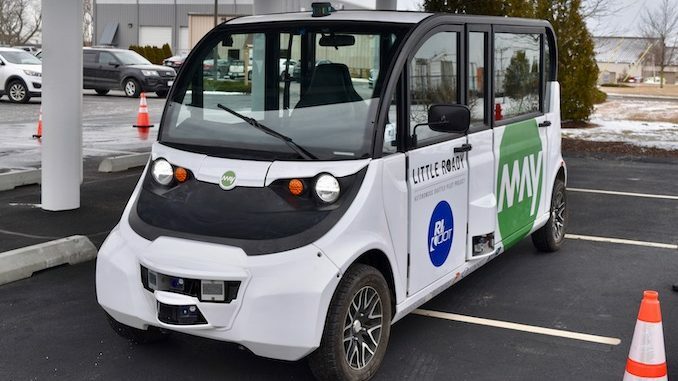 Called the Little Roady Shuttle, each vehicle is fully electric and capable of carrying five passengers as well as an attendant who is trained how to operate the vehicle manually if needed. 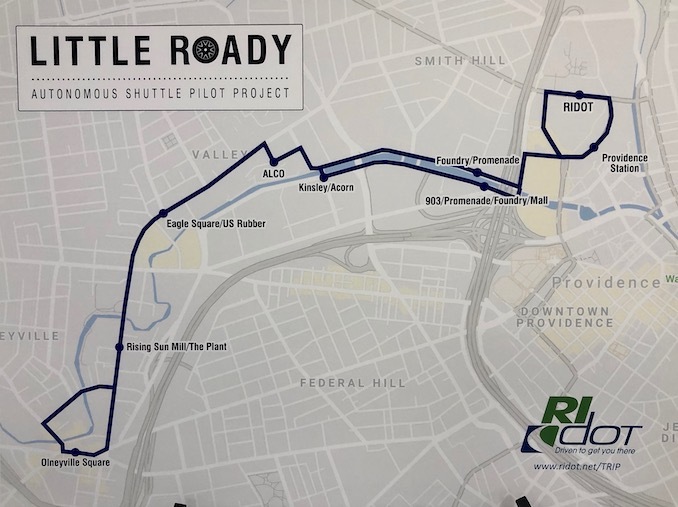 Up to six vehicles will be on the road at the same time, operating on low-speed roads along a 5-mile route along the Woonasquatucket River corridor with 12 stops, from Olneyville to Providence Station. 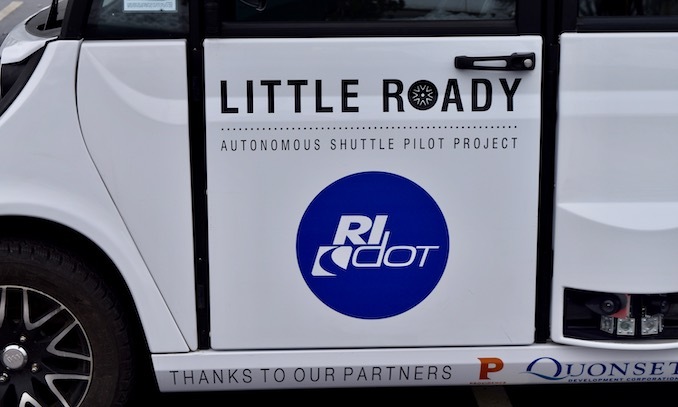 The debut of the autonomous vehicles is the latest step in a multi-agency effort called the Rhode Island Transportation Innovation Partnership (TRIP), which RIDOT launched in 2017. TRIP also includes a research component, with the goal of studying autonomous mobility solutions, ridership, workforce impacts, environmental impacts, and technology adoption, among others. The research being conducted in this pilot project will help the Department better understand the opportunities and challenges that come with integrating this new technology onto Rhode Island roads. The research will help improve transit and provide information for communities, the workforce, and policymakers. “Quonset is pleased to host this innovative transportation pilot as a test site,” said Steven King, Managing Director of the Quonset Development Corporation. 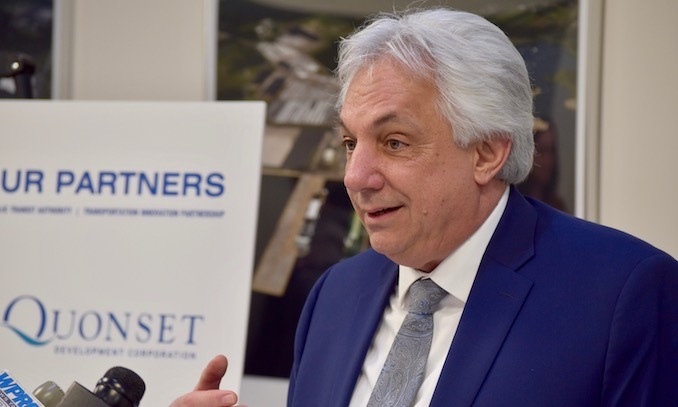 “As home to many Rhode Island companies at the forefront of engineering and design, Quonset is excited to assist in the fielding of this cutting-edge technology to Rhode Island. “You can imagine the new fields of off-shore wind, powering up off of Rhode Island. Electrons pouring into our grid, creating no pollution, filling up electric vehicles and having them go out onto our roads.” said United States Senator Sheldon Whitehouse(Democrat, Rhode Island). “There’s a lot to be said for that new infrastructure.